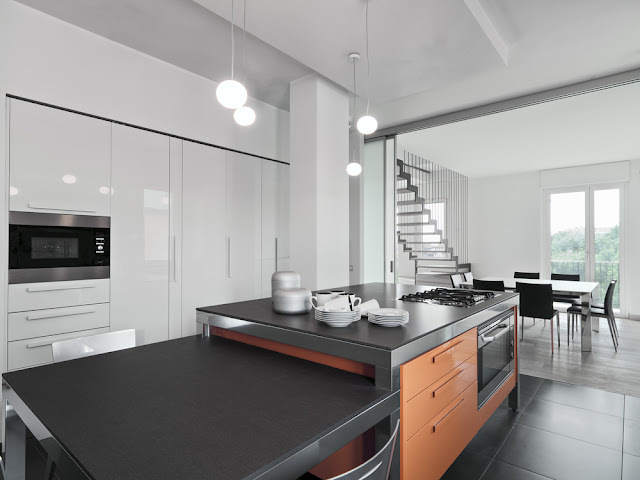 How to Decorate your Kitchen with Modern Kitchen Designs? Now modular kitchen is the latest trend in the market, and it has all facilities and spacious accommodation for utensils. If you want to refurnish your kitchen, then it is better to hire some modern kitchen designers, who can take proper measurement of your kitchen area, and install the cabinet, wardrobe and wash basins accordingly. There are several reasons for hiring kitchen designers like, they will visit your home and take the accurate measurement, provide you with a wide range of their collections, and you can choose your favorite designs accordingly. Firstly it is necessary to accommodate all kitchen appliances in your kitchen, because now kitchens are available in small spaces, and it is very difficult to install the necessary things. 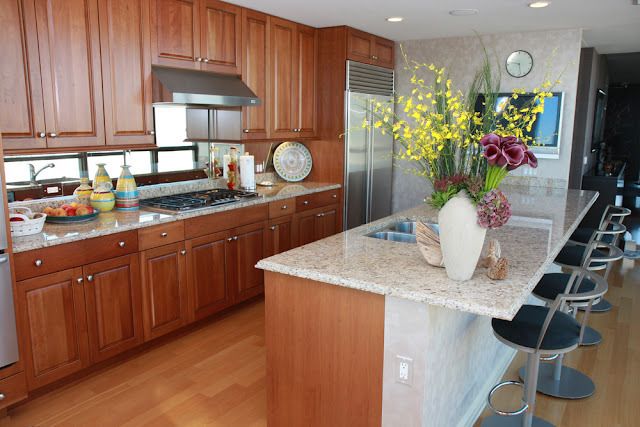 They are trained in this industry and they can design your kitchen in a proper manner. Marble can lend elegance to your kitchen, and it can be used in myriad ways. Having counter slabs made of marble is one way of doing that. Marble cleans fast, and it also stays cooler compared to other materials. Thus, it is a nice choice for a kitchen, which can become hot pretty quickly. A farmhouse sink can provide one with an ample amount of space for washing fruits and vegetables. Microwave drawer ovens can also consolidate the space. A nice trend is modern kitchen designs is having kitchen island seating, which allows the family to sit together over a barbecue or elaborate meal. Corner cabinets are a must too when it comes to modern day kitchens. Corner cabinets help you optimize the space in your kitchen, by offering storage room for canned goods, pantry staples, and other items. Modern kitchens are becoming hybrid, live-in spaces. They need not only be attractive, but also make for an area for the family to sit and chat over a meal. Glass is a key design element in modern kitchen designs. It could be clear, frosted or painted. You could use glass in display cabinets, on splash backs, or as a feature on the front of a kitchen island. Classic wood grains have made a comeback in modern designs. Wood grains can complement stone and glass beautifully, assign to the aesthetics of your kitchen. You can also use ceramic and glass designs to create modern kitchen designs. Color is another trend that is making a comeback in modern kitchen designs. You could use contrasting materials in cabinetry to make them pop-out. For example, the warmth of timber coordinates well with poly, and makes for an interesting color scheme. Lighting too adds to the character of a space. For instance, recessed halogen lighting under cabinets and island bench tops can add a touch of elegance to the design. Modern kitchens aren’t just big on aesthetics though. They are highly functional too. For example, built-in energy efficient appliances remain a key feature of modern kitchen designs. Similarly, sensor touch drawers make for more durable cabinetry. Depending on the cost of functionality and products, you can contact the sellers or designers of modular kitchen, so that they can suggest you with the best ideas. While a modern kitchen can accentuate the aesthetics of your space, it is important that it is in tune with your requirements. For example, if space is an issue, you might have to include a lot more cabinetry for storage room. Similarly, if you have a constrained budget, you might not be able to go big with marble. A good designer is also able to work out alternatives and work around constraints. Thus, when designing a kitchen, or for that matter any part of your house, it is important that you invest in a worthy designer.